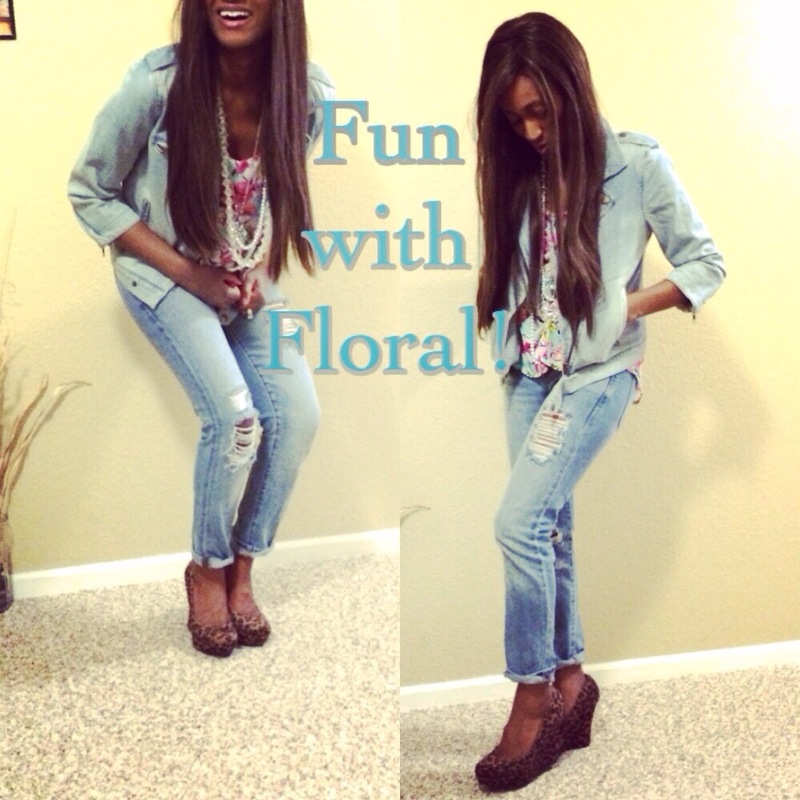 Evening Style: Fun with Floral! How to achieve the look: Pair a denim jacket with a silky floral top, skinny jeans, leopard wedges, layered necklaces, if it is cold where you are pair with booties! Enjoy your evening dolls! Categories: Fashion | Tags: chic, clothes, denim, Fashion, jeans, style, wedges | Permalink.